We’re in the future, but only by one day. The time zones make it so that we are ahead by about 15 hours. Yesterday we went to the Trick Eye Museum and it was so cool!!! We posed in pictures which is what you’re supposed to do there and some are pretty funny. There are some with levitating and some with statues you can pose with for the picture, and most of them had 3-D looking pictures. For more pictures, click here. Hint: look at them with one eye because then they’ll look more real. 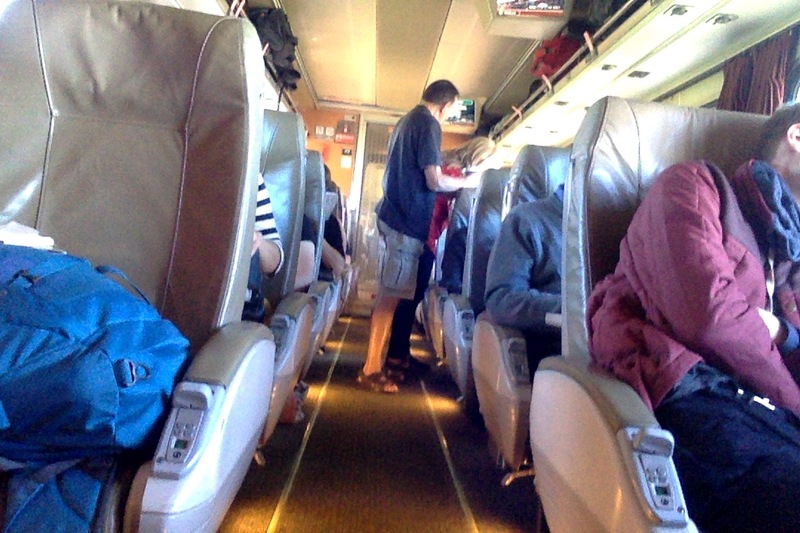 WeÂ am on the train to Vancouver, and the scenery is beautiful. We were by the sea but now we are passing farmland. We hadÂ breakfast on the train and I got a parfait and a breakfast bagel. On the trip I will miss family and also Maia. I am looking forward to seeing interesting crafts and scenery. I am excited to always be in a hotel because I can have breakfast in bed every day!